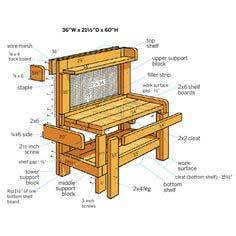 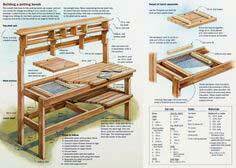 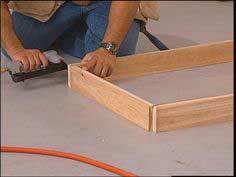 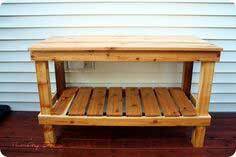 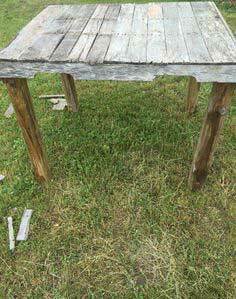 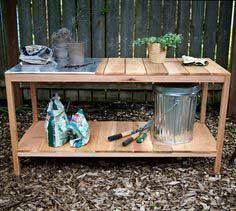 If you're a beginning woodworker, basic tools, a good potting bench plan and materials are all you need to build a sturdy and functional potting bench. 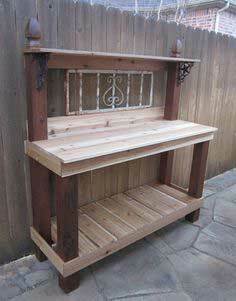 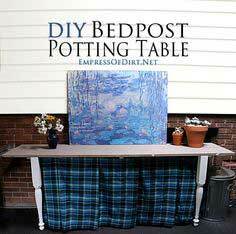 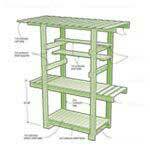 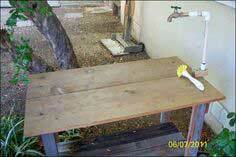 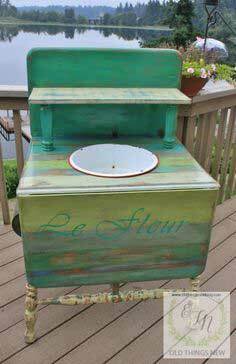 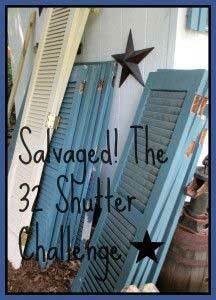 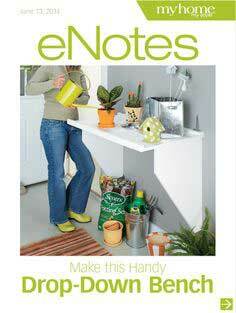 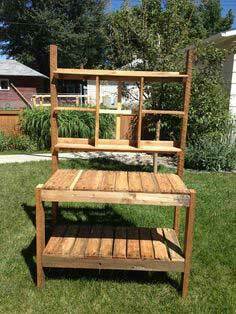 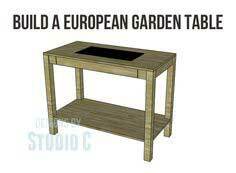 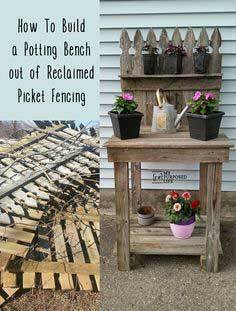 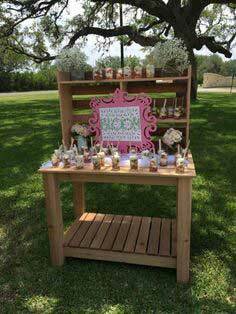 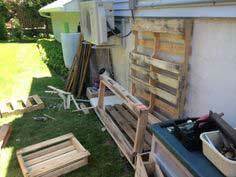 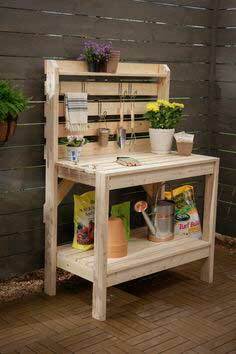 You'll also find instructions for repurposing an old hutch or using reclaimed pallets to create your dream work area. 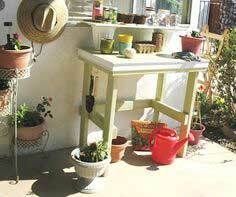 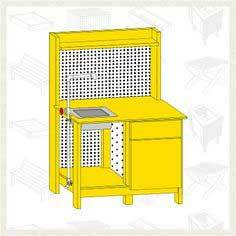 If you have space, a stationary potting bench is a perfect workstation in a porch, shed or another protected area around your house. 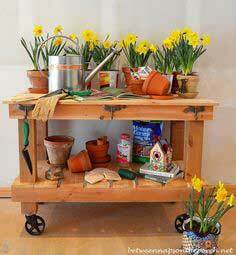 If space is at a premium, consider building a wall-mounted drop-down workspace or a rolling cart you can take out whenever you have the urge to get your hands dirty. 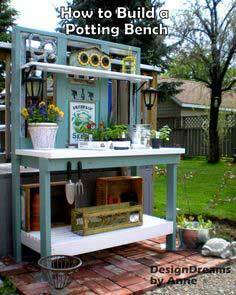 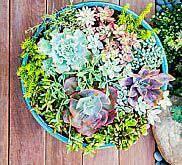 Every plant lover dreams of owning a dedicated potting bench. 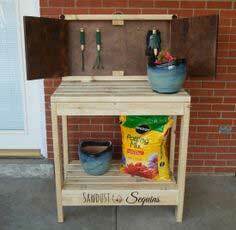 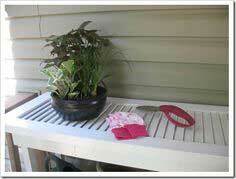 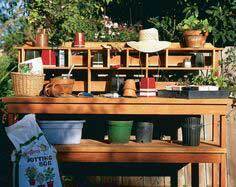 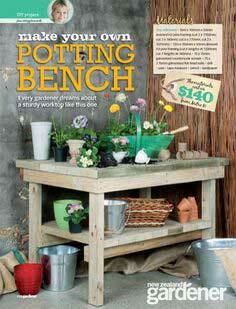 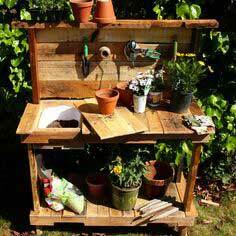 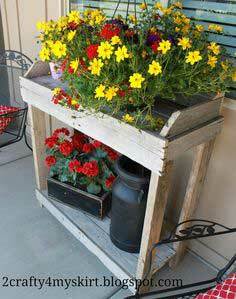 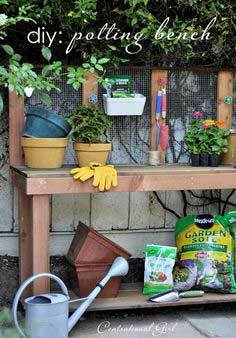 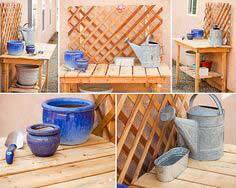 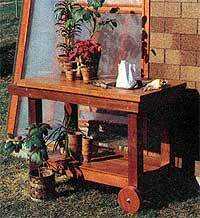 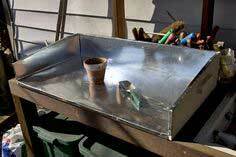 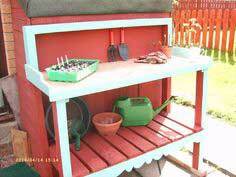 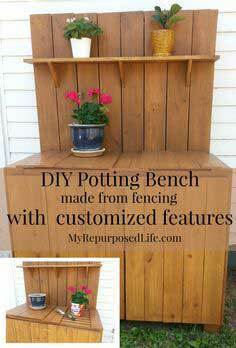 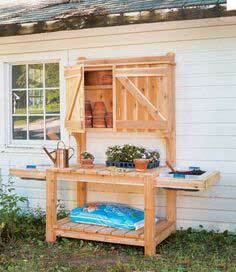 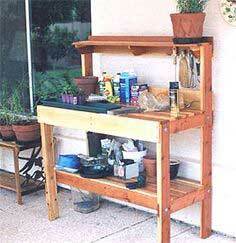 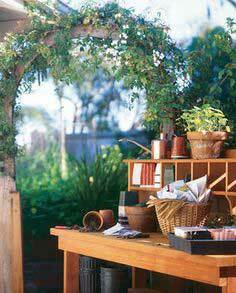 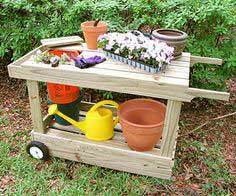 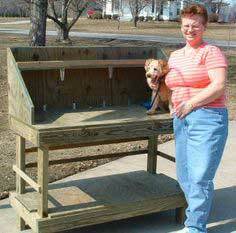 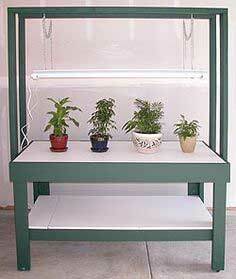 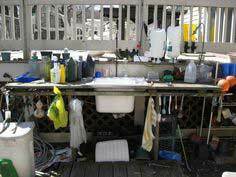 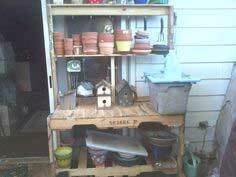 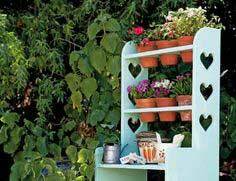 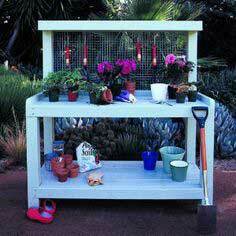 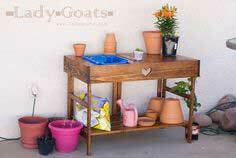 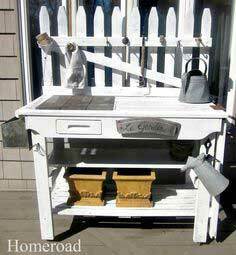 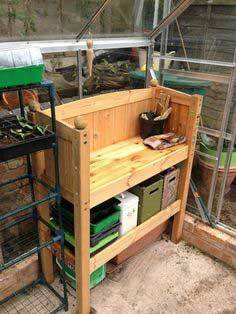 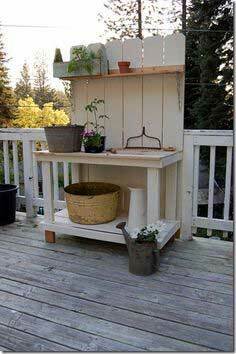 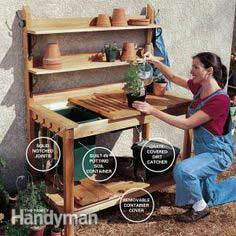 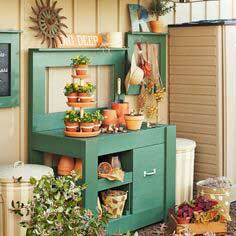 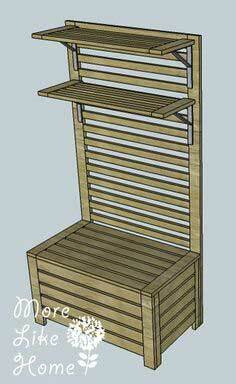 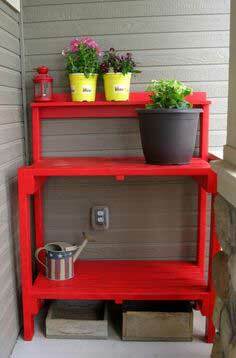 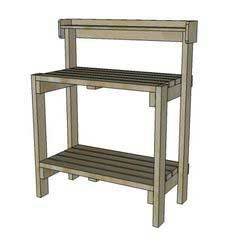 A potting bench can hold not only tools and assorted pots, but it can also store containers of soil and additives. 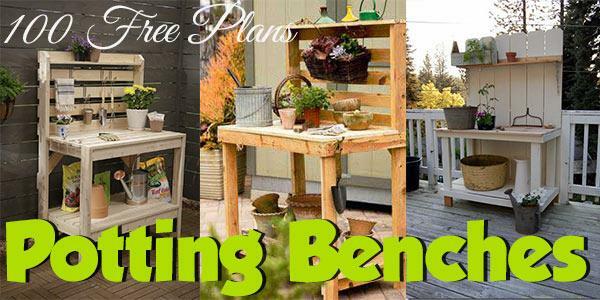 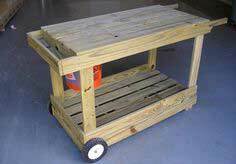 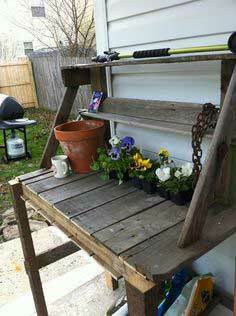 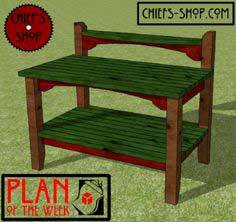 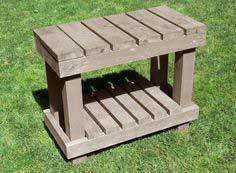 Our DIY potting bench plans can be simple or complex, made from reclaimed furniture and building materials or have wheels for portability.